Cooper Discoverer SRXLE has been selected as original equipment for Mercedes-Benz GLE, launching later this year! Cooper Tires have won acclaim yet again for superior innovation, technical achievement, quality and workmanship. Daimler AG has selected the Cooper Discoverer SRXLE as original equipment (OE) on the new Mercedes-Benz GLE. 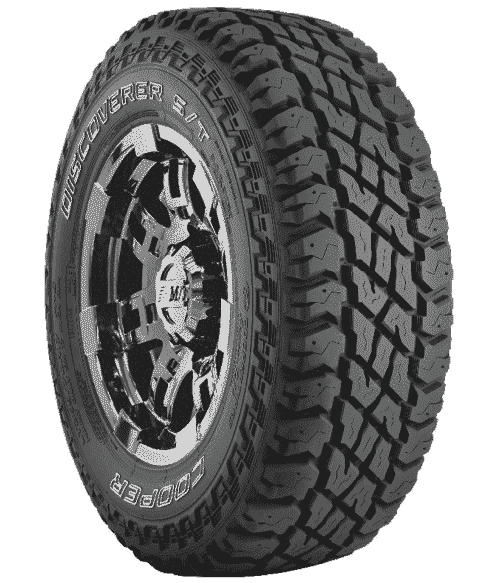 The Cooper Discoverer SRXLE is a premium all-season SUV tyre with fitments including the 255/50R19XL and 275/50R20. The Cooper Discoverer SRXLE features advanced performance construction to deliver maximum steering response, stability in handling manoeuvres and a smooth, comfortable ride. With leading-edge tread technology, the SRXLE provides confidence in vehicle control by delivering superior traction in all weather conditions and improves fuel efficiency. The tyre’s superior profile shape includes a finely tuned footprint that interacts with the road to enhance vehicle control. For added stability and vehicle handling, the SRXLE has Micro-Gauge Siping™ as well as Aqua Vac Channels™, which are wide grooves in the tread that improve the tire’s resistance to hydroplaning and provide more control and grip in heavy rain. “The Mercedes-Benz GLE ranks among the world’s best luxury SUVs, and Cooper is proud that Daimler AG has selected our award-winning Cooper Discoverer SRXLE for these vehicles,” said Glenn Arbaugh, Executive Director, Global Light Vehicle OE Business Strategy. “The entire team is dedicated to the type of excellence it takes to be awarded OE production for vehicles of this calibre. Our selection for the Mercedes-Benz GLE speaks volumes about our product quality and ability to meet the needs of even the most discerning customers,” Arbaugh added.